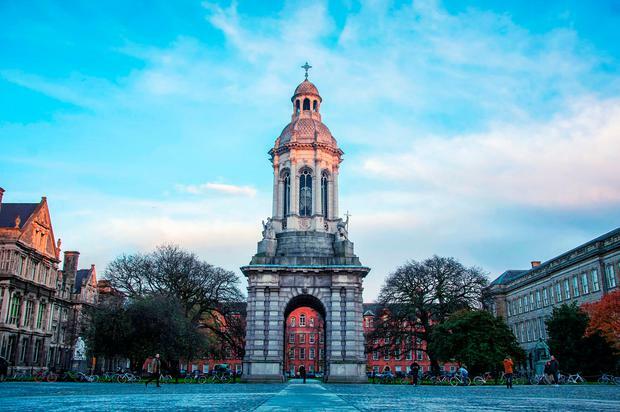 Trinity College Dublin has launched an investigation after one of its college newspapers admitted secretly recording students at an alleged initiation ceremony. The 'University Times' (UT) is under fire for planting a recording device outside a student's on-campus apartment where the alleged society hazing event was taking place. In a statement to the Irish Independent, Trinity College Dublin confirmed that two investigations are underway. "We can confirm an investigation is progressing which is being conducted by the Junior Dean," a spokesperson said. The university is investigating the alleged all-male hazing incident. A second probe is also being made into the method used to obtain the story. The UT says a recording device was used in their investigation but is standing by its methods. "Our readers should be aware we take the balance between privacy and the public interest very seriously, and he use of recording devices in this way was only employed given a set of circumstances that made it apparent that extraordinary events were taking place," said UT editor, Eleanor O'Mahony. "We would welcome a full and fair investigation of our reporting methods by the Oversight Board." Attempts were made to contact The Knights of Campanile for comment.